Twisting the dial at the end of the syringe releases an internal catalyst, thereby mixing the solution and charging the syringe for injection. In addition to wallet and envelope found in the Jarndyke Ark, two objects of note – a medication syringe and a bankroll containing $1,837 – were recovered as well. Analysis of the contents of the syringe found in the Jarndyke Ark revealed it to be similar to those carried by today’s combat medics. A synthetic epinephrine component provides stimulation, while a clotting agent jumpstarts the body’s ability to heal a wound. An opioid-based analgesic is also present in the admixture. A veteran of the war of St. Louis, Jarndyke would have been familiar with the role of this type of medication in a first-aid scenario. It is assumed that its presence is related to the militant action planned at the Kicking Water Manufacturing Facility. 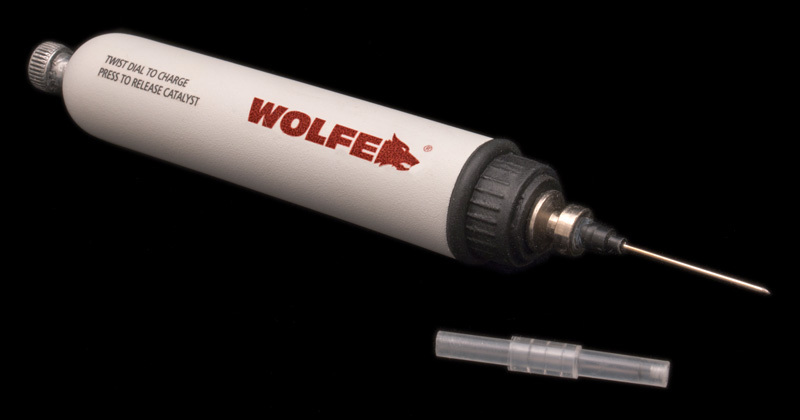 The syringe, manufactured by the Wolfe Corporation, has appeared in slightly different forms in other Arks (e.g. The Brandywine, Morris, and Five-Line findsa-c), indicating the product may have widespread use among citizens across the Zones. a King H. Piecing together the Pacific Zone: The Brandywine Ark in context. Parallax. 2002. 8;86-98.
b Veracruz JL. Overview of new finds in the Southwestern United States. Anthroarkology. 1989. 8(1);43-51.
c Fassi P. Emergency medicine in the Zones: Survey of current understanding. Arkology Research Papers. 2004. 2(5);19-23. In addition to the currency found in the wallet, the Jarndyke Ark contained a bankroll with $1,837 in cash. 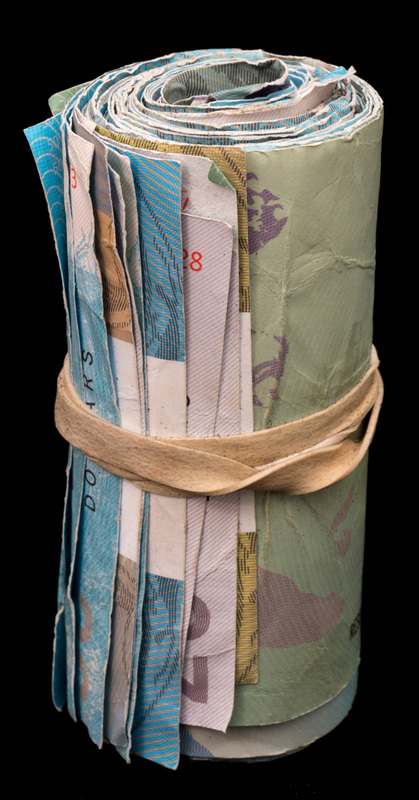 The Jarndyke Ark contained a rubber-banded bankroll with $1,837. Worn and non-sequential, the bills may be among those Jarndyke withdrew from an ATM on 12/10/NE0021, or may have been given to him by a contact at one of his multiple stops on the way north to Stillwater.